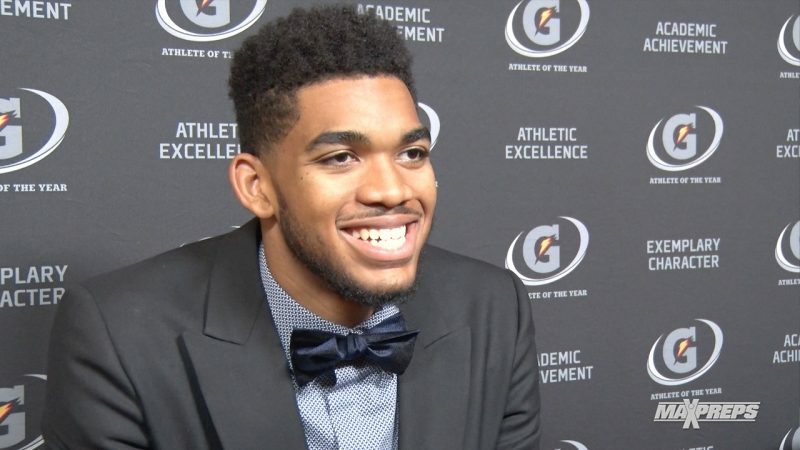 Karl-Anthony Towns is no stranger to success and living up to expectations at a young age. The NBA Rookie of the Year has accomplished a great deal at just 20-years-old and has done so with the class and humility not easily found in the sports landscape today. 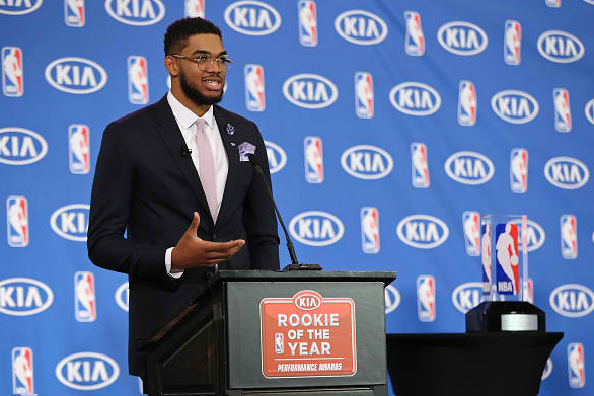 Towns has deep roots in the understanding of the platform he possesses by virtue of his talent. His goal is for those roots to spread and enrich the lives of others coming up behind him. Basketball has provided him a great many things but Towns is looking to make a difference off the floor as well as on it. Currently he is in the midst of a media blitz and hectic off season. He took some time to share his vision on social responsibility, college and the NBA after appearing at Gatorade’s Athlete of the Year ceremony in Los Angeles. Shaw Sports: What has being associated with Gatorade meant for you professionally and personally? Karl-Anthony Towns: It’s meant everything. I’ve always striven to work with companies that represent the moral values and character that I have and want to be represented with myself. Being with a brand like Gatorade–who treats everyone so much like family and breeds excellence–is a dream come true. I just love working with them and can’t wait to continue working with them…hopefully for the rest of my life. In your opinion what are some of things that have led you to be a Gatorade athlete as a professional? I just think they took a long time scouting me especially after I was able to come away with the honor of Gatorade Athlete of the Year (in 2014). They won’t just work with anybody, they work with people with great character and great talent. And talent is not the only thing that matters to them. They take into account your character and your ability to give back and I am just glad that they see me as someone who can represent the Gatorade name at a high standard. As you discuss giving back what is your level of social responsibility in the community? How firmly do you believe that it’s something that a player needs to do as a professional? It means a lot to me to be able to give back. I don’t think I was put in this position to play the game at a level and not be able to spread joy within my community. I feel like I was put in the position because God knew that I could give back and touch lives. I am planning to do that as much as possible in my lifetime. Transitioning to hoops for a bit, did you ever dream that you could have so much for going for you so fast? You know what, I had a lot of confidence in the hard work I put in. I’ve been preparing for this moment since college. I trusted all the work I’ve put in–I have confidence in myself and the preparations I’ve made to be in these moments. So the University of Kentucky program has made a huge influence in your life past the one year you spent there? How much homework have you done on Coach Thibodeau and are you prepared for the challenge of a new coach next year? I have done my homework. I feel that we have a good coach who’s very smart and has a track record of success. We’ve talked about the mission that we have in Minnesota and how we are going to get that accomplished. You seem pretty excited about the possibility of playing with Kris Dunn. What are your thoughts on him and how will you help him along? I’m excited about the potential he has and I can’t wait to help him achieve and reach his full potential. He’s a guy that has so much talent and the ability to be somebody special in this league. Who wouldn’t want to play with someone like that–someone who could be very special? You have great mentor in Kevin Garnett but Tim Duncan is a pseudo mentor to many around the league. He’s somebody I saw you paid a tribute to on Instagram. Do you have a Duncan story you can share? I think the greatest thing he’s ever taught me is to just take my time–take my time and enjoy this process. There are times where things may go bad but trust your work ethic–he did–and that’s something that always comes out to the forefront.